For convenience and safety, we have two multi-level indoor car parks located at the terminal with direct access to the arrivals and departures levels. Our indoor car parks are coloured BLUE and GREEN. Both indoor car parks offer 1000 parking spaces and our Parking Guidance System provides the exact number of available parking spaces parking spaces on each level. Ceiling installed LED red/green lights will assist you to locate vacant and occupied parking bays. Vehicle height restriction in the multi-level car parks is 2.3m. Click here to view the parking maps. Our indoor car parks are coloured BLUE and GREEN. Parking costs can be viewed on the parking rates page. 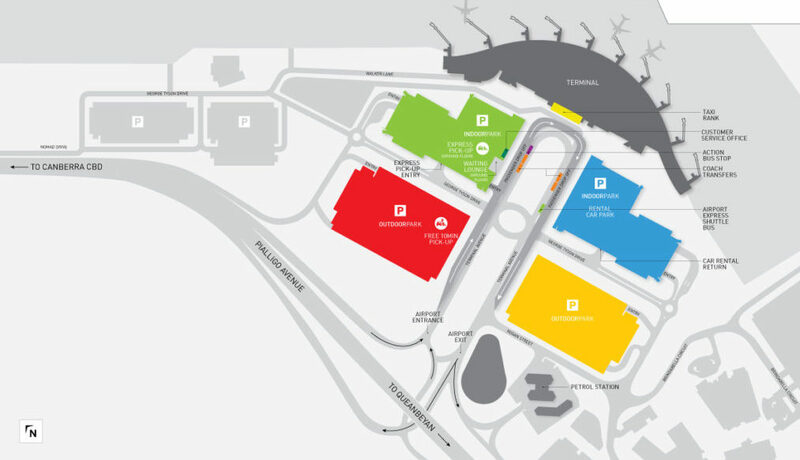 Located near the terminal, our two outdoor car parks each offer 450 parking spaces. Our outdoor car parks provide great value with weekend and long stay parking specials while being located only minutes from the terminal. Click here to view the parking maps. Our outdoor car parks are coloured RED and YELLOW. Check out the parking rates and specials on our parking rates page. The Free 10 Minute Pick-up is located a short, two minute walk from the arrivals hall in our RED outdoor car park. Vehicles may park in the dedicated bays for 10 minutes for free. Vehicles that stay beyond the free 10 minutes will pay normal outdoor parking rates. Obtain a ticket as normal from the entry boom gate to the car park. Insert the same ticket at the exit point in less than 10 minutes from entry to the car park to exit without charge. If you stay beyond the free 10 minutes, proceed to the pay machines located in the car park and pay your nominated fee. The Express Pick-up is located on the ground floor of the GREEN indoor car park just a short, 20 metre covered walk from the arrivals hall. This close proximity to the terminal makes it ideal for those who are short on time plus includes the comforts of a dedicated waiting lounge should your pick-up be late. As a passenger you can meet your collector in the baggage hall or in the car park. Alternatively, if they haven’t arrived yet, you can wait in the comfort of our Express Pick-up Waiting Lounge located adjacent to the car park. Rates effective as at 1 July 2017. 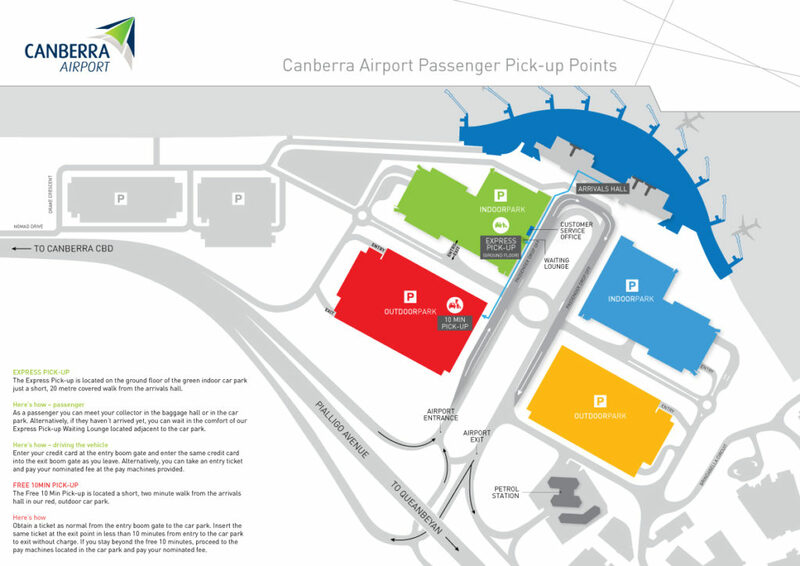 Park in your preferred indoor car park (GREEN or BLUE), tak an entry ticket at the boom gate and catch your flight. 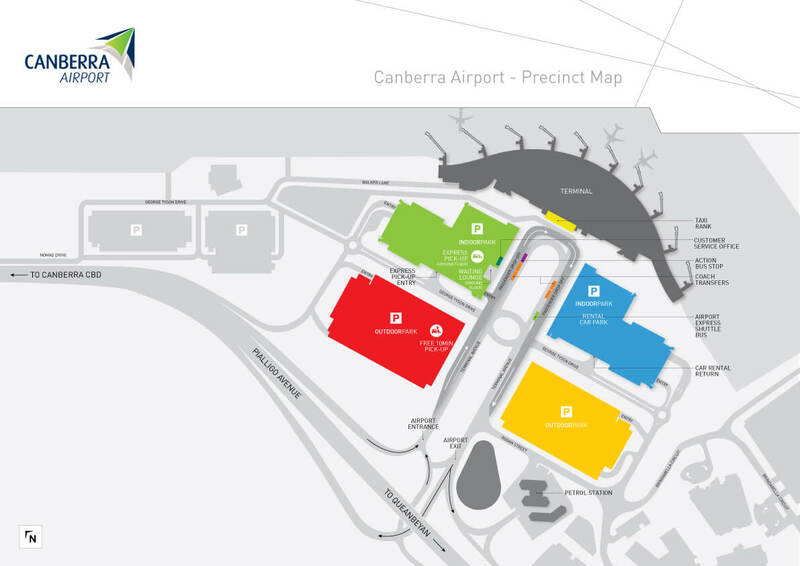 On your return to Canberra Airport, directly prior to exiting the car park, present your entry ticket to the Customer Service Office located outside the green multilevel car park. Please note long stay products are not available or payable in advance. 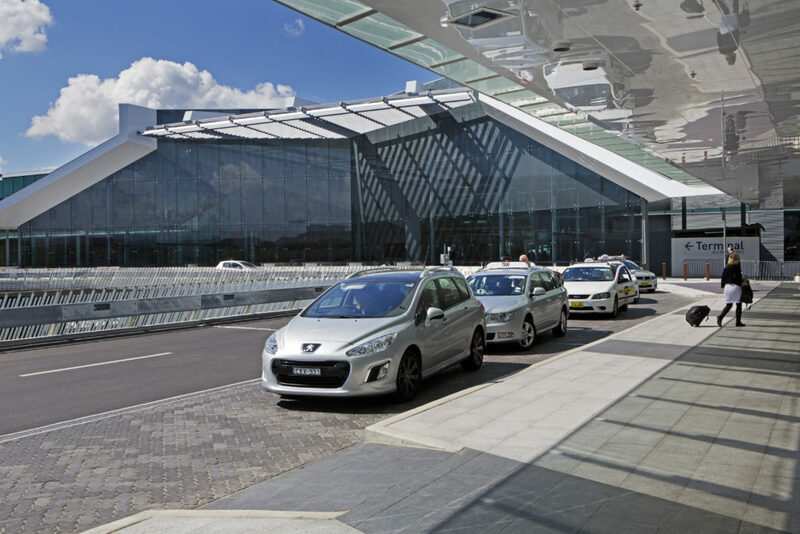 Costing less than the average taxi fare, park at the terminal from Friday night right through to Sunday for just $35! Enter the outdoor car parks after 3pm on Friday and exit before closing on Sunday. Valid every weekend, YELLOW and RED outdoor car parks only. Planning on staying a while? Take advantage of our long stay parking special. Park for upto 6 weeks for just $165. After 6 weeks (42 days) then +$5.00 per day. Valid in YELLOW and RED outdoor car parks only. Click here to see the long stay outdoor parking rates. Are you picking someone up from the airport? You are welcomed to use our Free 10 Minute Pick-up located in our RED outdoor car park, a two minute walk from the arrivals hall. Park for free for 10 minutes. Normal parking rates apply beyond 10 minutes.